When you think of the JCB brand, several qualities probably spring to mind – power, reliability and robustness. Fortunately, these attributes aren’t just limited to the heavy machinery the company produces – buy JCB footwear or a JCB backpack, and you’re sure to get an item that’ll last the distance. 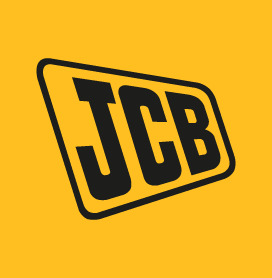 On this page, you’ll find all of the JCB-branded gear we have to offer. Each is perfect companion for a trip to a building site – but each will fare equally well wherever you decide to take it. A JCB backpack is just the thing for carting around anything from tools to paperwork – while a pair of JCB work socks will provide your feet with exactly the cushioning they need to get through a hard day on-site. We even stock JCB bags and suitcases, complete with multiple zipped compartments that’ll stay nicely secure. JCB luggage bags come with a generous 90 litres of interior room, and a set of roll-on wheels and a handle. If you’re looking for JCB footwear, then why not shop online? Like everything available on the Shoe Zone site, each item comes with free delivery and can be returned at any Shoe Zone store. 2 products from £4.99 to £7.99.